The ingenious solution they devised -- a kind of floating parklet -- was showcased recently at the 2nd Istanbul Design Biennial, along with a kindred-spirit project in Istanbul's Kadıköy neighborhood to create street furniture from recycled materials. Both initiatives, as I wrote for The Atlantic's CityLab site, seemed to offer an alternative to the massive, top-down "urban transformation" projects that have been so disruptive and controversial: "human-scale, easily replicable urban improvements that are responsive to local residents’ needs." 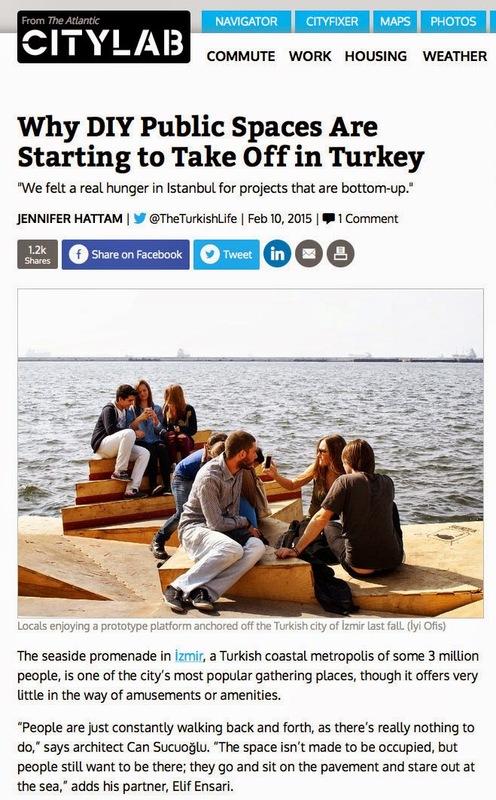 Read my article, "Why DIY Public Spaces Are Starting to Take Off in Turkey," on CityLab.